In her role as Sr. Director – Customer Care Strategy for Choice Hotels, Hui is responsible for the strategic positioning of sales and support of various lines of business, including Reservations/Sales, Member Services, Property Support, Customer Relations, and Reputation Management/Social Media globally. Her primary focus is identifying opportunities both strategically and tactically for her Shared Services organization, supporting both the guests in the hotels and the franchisees. Hui serves as a thought leader and innovator for sales and service delivery across all channels. She oversees workforce management, analytics, and vendor performance; develops business strategies to optimize resources; delivers sourcing solutions in conjunction with contract negotiations; mitigates business volatility; optimizes operations and revenue opportunities while being keenly passionate about the talent development of her teams. 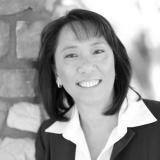 Hui has 20 years of operational leadership experience, predominantly in contact centers in a variety of industries and is currently working on her doctoral dissertation on social media and contact center operations. In her off time, she spends it with her 5 kids and husband in Phoenix, Arizona, loves to nap and is also a half-marathon survivor.